Young People Are Lonelier Than Their Elders : Shots - Health News A nationwide survey by health insurer Cigna finds that loneliness is widespread in America. Millennials and people in Generation Z tend to feel lonelier than retirees. 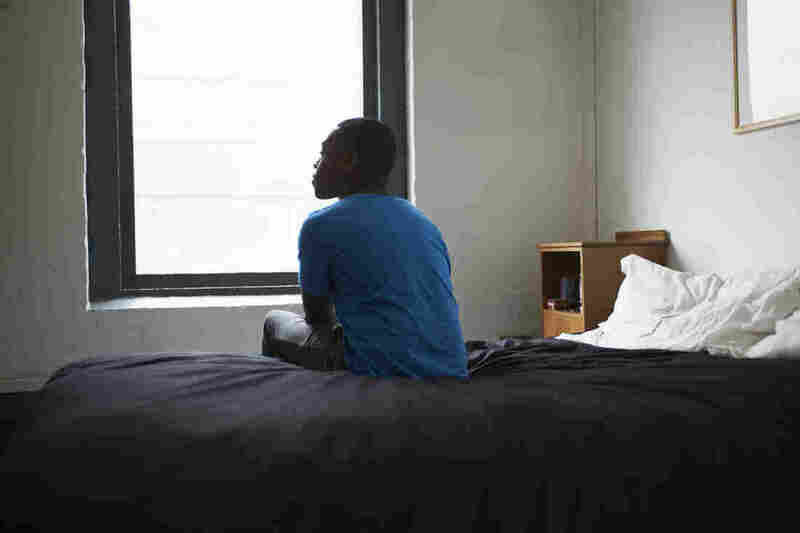 Loneliness is on the rise in the U.S., particularly among younger people, such as members of Generation Z, born between the mid-1990s and the early 2000s, and millennials, just a little bit older. But the results are consistent with other previous research, says Julianne Holt-Lunstad, a psychologist at Brigham Young University, who studies loneliness and its health effects. She wasn't involved in the Cigna survey. While it's difficult to compare the loneliness scores in different studies, she says, other nationally representative estimates have found between 20 percent and 43 percent of Americans report feeling lonely or socially isolated. Loneliness has health consequences. "There's a blurred line between mental and physical health," says Cordani. "Oftentimes, medical symptoms present themselves and they're correlated with mental, lifestyle, behavioral issues like loneliness." Several studies in recent years, including ones by Holt-Lunstad, have documented the public health effect of loneliness. It has been linked with a higher risk of coronary heart disease and stroke. It has been shown to influence our genes and our immune systems, and even recovery from breast cancer. And there is growing evidence that loneliness can kill. "We have robust evidence that it increases risk for premature mortality," says Holt-Lunstad. Studies have found that it is a predictor of premature death, not just for the elderly, but even more so for younger people. The latest survey also found something surprising about loneliness in the younger generation. "Our survey found that actually the younger generation was lonelier than the older generations," says Dr. Douglas Nemecek, the chief medical officer for behavioral health at Cigna. Members of Generation Z, born between the mid-1990s and the early 2000s, had an overall loneliness score of 48.3. Millennials, just a little bit older, scored 45.3. By comparison, baby boomers scored 42.4. The Greatest Generation, people ages 72 and above, had a score of 38.6 on the loneliness scale. "Too often people think that this [problem] is specific to older adults," says Holt-Lunstad. "This report helps with the recognition that this can affect those at younger ages." However, the Cigna survey didn't find a correlation between social media use and feelings of loneliness. This would on the surface contradict the new findings on screen time, but Holt-Lunstad says that previous research shows that how people use social media determine its influence on one's sense of isolation. "If you're passively using it, if you're just scrolling feeds, that's associated with more negative effects," she says. "But if you're using it to reach out and connect to people to facilitate other kinds of [in-person] interactions, it's associated with more positive effects." Cigna wants to work with employers to "help address loneliness in the workplace," says Nemecek. Social connection or the lack of it is now considered a social determinant of health. In a 2014 report, the Institute of Medicine (now the Health and Medicine Division of the National Academies of Sciences, Engineering, and Medicine) suggested that health providers should collect information about patients' "social connections and social isolation" along with information on education, employment, lifestyle (diet, exercise, smoking, etc.) and psychological health. "But this hasn't happened," says Holt-Lunstad. "I would hope that with a large insurer like Cigna [releasing a report on loneliness], that it would start to be more on the radar of major health organizations but also actual health care providers." The UCLA Loneliness Scale ranges from 20 to 80. The initial version of this article incorrectly said that any score in that range indicates a degree of loneliness. People scoring 43 and above were considered lonely in the Cigna survey.